Within the last week the top three Android manufacturers reported their most recent earnings. HTC reported its first quarterly profit decline in two years, Motorola’s sales are expected to be disappointing yet again, and Samsung is doing fairly well (though their earning numbers were boosted by the sale of their hard drive division to Seagate). 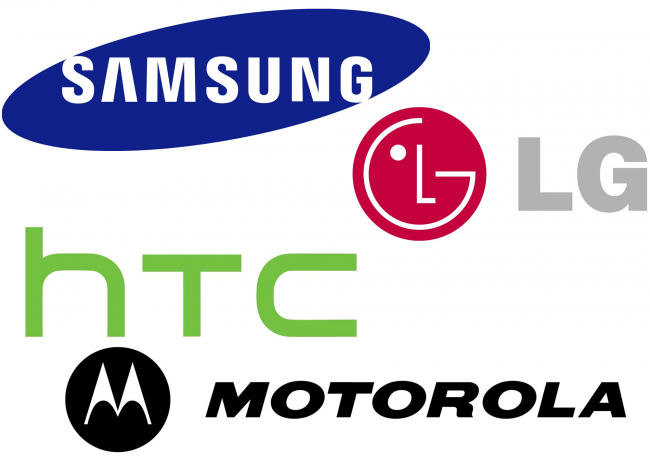 In short, except for Samsung, the top three Android manufacturers are not doing well. It’s easy for us to look at market share and assume that because Android is dominating, that means every manufacturer is doing well. That’s simply not the case. So far every manufacturer’s strategy has been to make as many models as they can and hope they sell well. The result is a flood of devices in the market and delayed updates. If you make some really good devices you might be able to avoid financial trouble (Samsung), but if you make terrible devices this strategy is just going to kill you (Motorola). HTC has managed to stay in between these extremes by making some good devices, all of which were very similar to each other. I think the main reason that Samsung has been able to weather this year (aside from their sale of their hard drive division) has been their judicious release of halo devices like the Galaxy S and Galaxy S II. I imagine Samsung would do even better if they limited their device SKUs even further. No one wanted the Continuum, Illusion, Stratosphere, Captivate Glide, DoubleTime, Transform, Transform Ultra, Conquer 4G, Replenish, Dart, or Gravity Smart (Seriously?). Samsung isn’t doing well because they sold thousands of Gravity Smarts, it’s because they sold thousands of Galaxy S and S II variants. While Samsung was making a name for itself with the Galaxy line of phones, HTC pushed out several Evos, the Thunderbolt, the Incredible 2, the Rhyme, the Rezound, the Sensation, a couple MyTouch 4Gs, the Amaze 4G, the Wildfire S, and the ChaCha. Some of these devices were fantastic, while others were incredibly sexist or too reminiscent of Peek. Meanwhile, Motorola was trying to come up with a great new tablet name and somehow Xyboard made the list. It’s easy to lay all of the blame on so many devices on the manufacturers, but the truth is that the manufacturers wouldn’t make them if the carriers didn’t order them. The problem is, the carriers don’t care if a manufacturer goes under making devices no one will buy. If Motorola goes under Verizon can just rely on HTC or Samsung to make more Android devices to fill their stores with. I understand that some need cheaper phones, but that’s what older models are for. You can’t afford the Galaxy S II? Get the Galaxy S instead. That way you cover both the high end and the low end without flooding the market with useless iterations of the same phone. The other essential piece that manufacturers need to continue being successful is to ensure customer loyalty. After the Droid 2 I will never own another Motorola product again. The Droid 2 was haunted by both software issues (Exchange issues, random reboots, etc. ), and hardware issues (inconsistent keyboard design between devices, easily cracked bezel, unresponsive power button). The Droid 3 was an improvement, but with a locked boot loader and Blur on board many passed it up. Phones like that don’t ensure customer loyalty. People want to know that their device is going to make it through their contract. The other side of ensuring customer loyalty is providing updates to devices. Samsung’s decision not to update the Galaxy S to Ice Cream Sandwich when the Nexus S is getting it is an outrage. It isn’t about the phone working or not, obviously it will still work with or without ICS; it’s about being sure that Samsung is going to invest in keeping your device up to date for the duration of your contract. If Samsung spent more time maintaining their halo devices and less time releasing phones that no one wants they’d be able to allocate more resources to ensure that the millions of people who bought Galaxy S devices had ICS. I don’t want to buy a phone that may not receive updates. More importantly, if a skin is the reason I’m not getting an update I’d rather not have it. There are definitely some who won’t care about the update, but for those of us who do, the lack of an update is more incentive to buy devices like the Galaxy Nexus instead of the Galaxy S II. I want to see Android manufacturers continue to be successful, but right now they’re on a path towards destruction. Too many models only confuses consumers and make updates more difficult to roll out. Samsung and HTC should be making a few halo devices per year without carrier variation. Carrier variations lead to one carrier having a 1.2 GHz processor in the Galaxy Nexus and a (rumored) 1.5 GHz processor in another carrier’s version. People like options, but no one likes carrier specific options. Right now carriers have too much power and manufacturers are too willing to make dozens of devices that fill shelves instead of meeting demands. Creating customer loyalty ensures a sale every two years. Knowing that a Samsung or HTC device is not only top of the line when released, but will also receive updates throughout the duration of the contract is important to many consumers. I want a relationship with my manufacturer, not my carrier.